A tour exploring Porto, the "Granite City", with its imposing historic buildings, including the Clérigos Tower, and modern structures, such as the railway station. This excursion will take us into the heart of Porto, which is not only Portugals second city and second most important port, but also the country's university and industrial centre and an Episcopal seat. Porto is also known as the "Granite City" as the material was used for many of its majestic and elegant buildings, creating a contrast between the city, its lush green surroundings and the golden sparkle of the river Douro. Our coach takes us to Cordoaria for a photo stop outside the Clérigos Tower  designed by architect Nicolau Nasoni  at one time the tallest building in Portugal. We then cross Santa Catarina Street and Aliados Avenue to reach our next stop - the São Bento railway station, one of the city's most imposing buildings. 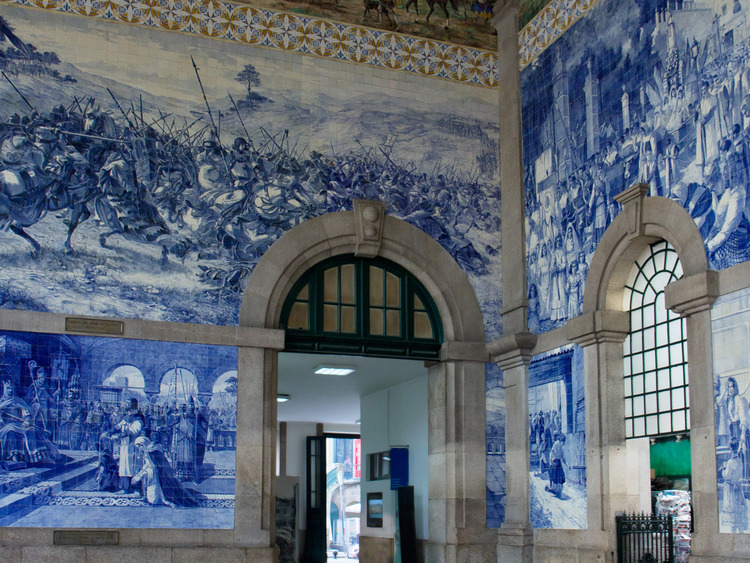 Here, we will have some free time to admire the azulejos  the hand-painted ceramic tiles that cover the station  and for some shopping. We return to the ship at the end of the excursion.